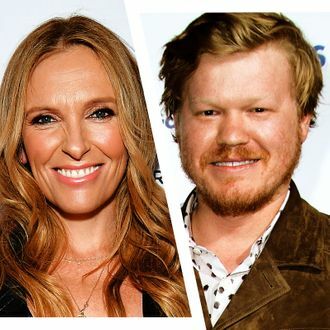 Charlie Kaufman is making a new movie for Netflix — or maybe “making” a “new” “movie” for “Netflix,” considering his taste for the surreal — and it will star Toni Collette, Jesse Plemons, Jessie Buckley, and David Thewlis. The movie’s based on Ian Reid’s mind-bending novel I’m Thinking of Ending Things, which starts with a guy named Jake (Plemons) taking his girlfriend (Buckley), who is currently “thinking of ending things,” to meet his parents, then it splits off in odd directions when Jake takes a detour and leaves her stranded. Kaufman is writing and directing the movie, and while Collette and Thewlis’s roles have not yet been announced, we can assume they’re both John Malkovich.